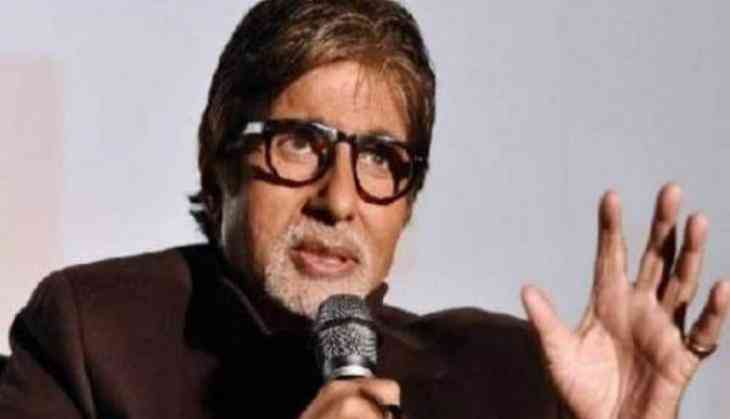 When it comes to share some nostalgic, throwback pictures with his fans on social media, superstar Amitabh Bachchan always takes the cake. Today, the 74-year-old actor took to Twitter and shared an adorable photo with son Abhishek, which is surely going to make his fans smile wide. He captioned the snap, "I once, not so long ago showed him the workings of technology..now he teaches me..Kids, I tell you." In the photo, the ' PINK' star is seen trying to teach Abhishek Bachchan how to use a camera. Recently, the actor shared a picture of himself with son Abhishek, when he had just returned from the hospital after suffering the fatal accident. The caption read, "Me recovering from my Coolie accident at home and a most caring and loving male nurse - ABHISHEK." Later, Abhishek too shared a family portrait with his dad that was clicked on the same day, after Big B returned home from the hospital. On the professional front, Amitabh Bachchan will be next seen in ' Thugs of Hindostan' alongside Aamir Khan and Fatima Sana Shaikh in Malta. The movie also stars Katrina Kaif in the lead and will release in Diwali 2018.